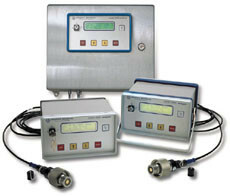 Charlotte, N.C.-based Celgard Inc. enhances its product line with Orbisphere Dissolved Oxygen Analyzers. The company manufactures Liqui-Cel Membrane Contactors, which are currently used across the globe for adding or removing O2, CO2 and N2 to or from water. The oxygen outlet of liquid downstream of the contactors is typically monitored with an Orbisphere Oxygen Analyzer. The company’s ability to market various analyzers along with contactors and SIHI vacuum pumps offers value to customers.